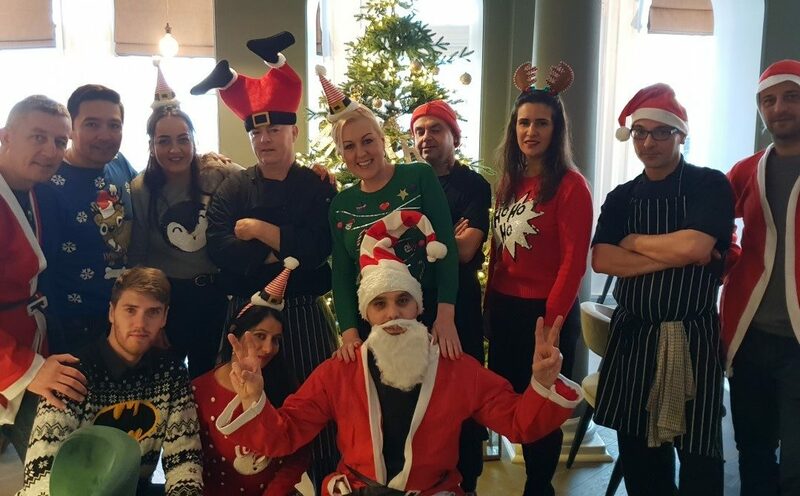 Friday, 14th December 2018 was not just the penultimate Friday before Christmas Day, but it was “Save the Children’s Christmas Jumper Day” and one that the staff at The Burlington Hotel embraced for its first year. It is all for the amazing cause of the Save the Children charity, and it was an opportunity for our staff to show off some of their ghastly festive knitwear under the guise of being charitable, except the kitchen staff of course, as it can get pretty hot preparing your tasty dishes in there! We raised just shy of £150 with donations from the team and are hoping to make it a tradition at The Burlington for years to come. If you would like to donate to this noble cause, just Text JINGLE to 70050 to donate £2 to Save the Children’s Christmas Jumper Day * or use this Link to donate online. However, you may well also be looking for a tastefully decorated, family friendly, Worthing venue with the added bonus of direct sea views and that is exactly what we are here for. Please contact us now via email or call us on 01903 211 222 with your inquiry, and we will do our best to be of service to you. In the meantime the owners and the staff at The Burlington Hotel Bar and Restaurant would like to wish you all a very Merry Christmas and may you all have a healthy and successful year ahead.